Posted on December 15, 2011 by Rohit..
-Amazon.com, Inc. is an American multinational electronic commerce company headquartered in Seattle, Washington, United States. It is the world’s largest online retailer and calls itself ‘the world’s largest bookstore’. Amazon Founder: Jeff Bezos is the founder, president, chief executive officer (CEO), and chairman of the board of Amazon.com. Jeff Bezos, a computer science graduate from Princeton University, came up with the business plan of Amazon.com while making a cross-country drive from New York to Seattle in 1994. He wanted the name of the enterprise to start with an ‘A’ so that it’d appear early in alphabetical order. He looked in the dictionary and settled on ‘Amazon’ as he found it to be an “exotic and different place” and being the longest river, hoped that the company would grow to replicate the same in the world of online shopping. The site went online in 1995. 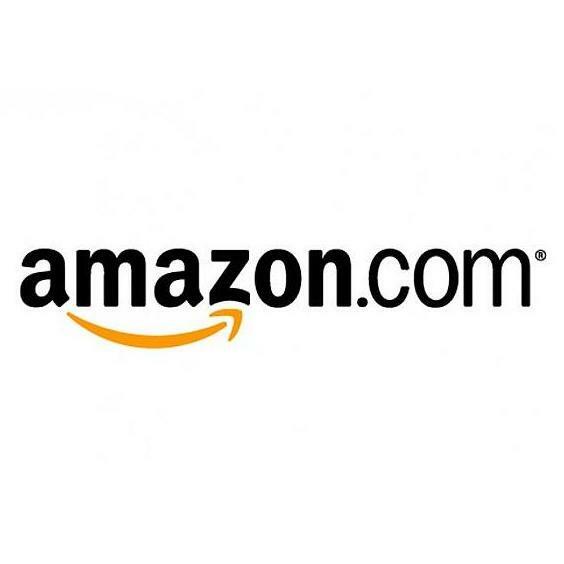 Amazon Logo: The logo of Amazon.com has an arrow going from ‘a’ to ‘z’, to represent the fact that their catalogue includes product starting from all letters of the alphabet. The arrow also forms a smile to indicate customer satisfaction. – One of the major complaints of the stockholders of the company was that, it was very slow in showing profits. – Although it’s online services were started in 1995, amazon.com’s first profitable year in history was 2002. – Barnes and Noble is amazon.com’s biggest rival in the industry. – A glitch in Amazon.com’s programming allowed writers to criticize their own works favorably on the site. – Amazon acquired IMDb, the online database of Movies, Television shows, Videogames, Actors, Characters and other personnel associated to the world of cinema and television for in 1998 and Alexa Internet, the browsing behavior study and internet ranking website in 1999. – The first book sold on Amazon.com was Douglas Hofstadter’s Fluid Concepts and Creative Analogies: Computer Models of the Fundamental Mechanisms of Thought in 1996. – The Time Magazine named Jeff Bezos as the ‘Man of the Year’ in 1999 for his company’s success in popularizing online shopping. 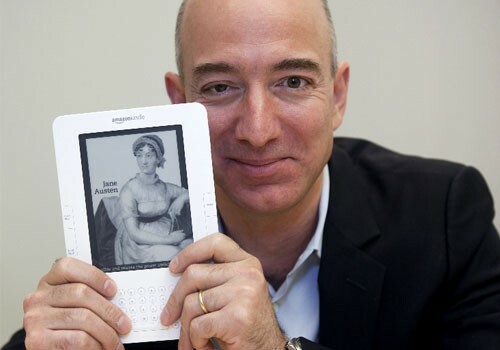 Jeff Bezos, the founder and CEO of Amazon with the Amazon Kindle. – The Amazon Kindle was launched in 2007 and has about 48% market share of all e-book readers. – Sachin Bansal and Binny Bansal were both employees of Amazon before they started flipkart.com. This entry was posted in Brand History, Feature post, News and tagged Actors, Amazon History - Jeff Bezos - Man of the Year - Time Magazine, Amazon History - Jeff Bezos - Time Magazine - Man of, Amazon Kindle, Amazon logo, Amazon Trivia, Amazon.com History, …and you’re done, Barnes and Noble, Binny Bansal, Brand History, Brand History and Trivia, Characters, Douglas Hofstadter's Fluid Concepts and Creative Analogies: Computer Models of the Fundamental Mechanisms of Thought, Earth’s biggest bookstore, Evolution of the Amazon.com Logo, flipkart.com, IMDb, Jeff Bezos, Movies, Princeton University, Sachin Bansal, Television shows, Time Magazine, Trivia, Videogames by Rohit... Bookmark the permalink.